Want to Chew Comfortably and Have a Confident Smile? A smile says a great deal about an individual. When a person feels they have a healthy, beautiful smile, they choose to share it with others, and doing so makes them more approachable. In addition, a smile continues to be recognized as a friendly gesture regardless of where one goes in the world. If your smile isn't all you would like it to be and you have multiple missing teeth, you have a number of options to choose from to restore your smile to its full glory. Following are three options that may be used in cases such as this. Conventional dentures, often referred to as false teeth, provide a solution for those who are missing multiple teeth in one or both jawbones. 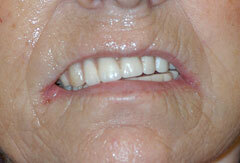 The denture not only replaces the missing teeth but also supports the mouth, cheeks, and lips. Made of acrylic in most cases, dentures are formed in the shape of a horseshoe to furnish room for the tongue in the lower arch. Porcelain or plastic teeth are then attached to this acrylic, and patients may either opt for partial or complete dentures. Regardless of which is selected, the denture can be removed from the mouth. To ensure proper jaw alignment, dentures need to be relined or replaced on a regular basis. 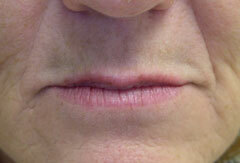 This alignment changes over time due to the gum ridges and bone receding. In addition, when teeth are extracted, the ridges or bone may shrink, leading to the need for a denture replacement or realignment. This process ensures the dentures fit properly, as loose fitting dentures often interfere with speech and normal eating. 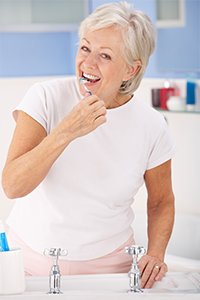 For temporary relief, patients often make use of denture adhesives purchased over the counter. 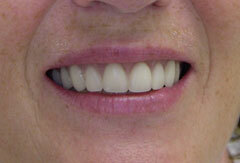 Conventional dentures remain a great option for those missing multiple or all of their teeth in one jaw or both. In comparison to conventional dentures, implant-supported dentures are an excellent solution to replace lost dentition. They provide better function and comfort. 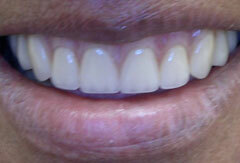 Conventional dentures rest on the gums. In contrast, implant-supported dentures are attached to implants in the jawbone. This option helps those people lacking all teeth in one jaw, but possess enough bone to support the implant, to enjoy a full set of firmly attached teeth. Special attachments connect the denture to the implants, holding it in place. This option works best in the lower jaw, as many individuals find conventional dentures aren't as stable as they prefer when used in the lower arch. The upper arch provides adequate stability for a conventional denture, yet many patients opt for the implant-supported option in both jaws. Two types of implant-supported dentures are currently offered: ball-retained and bar-retained. With either type, an acrylic base is used to hold porcelain or acrylic teeth and require two or more implants to hold the denture. The ball-retained variety features a ball on the implant that fits into a socket found on the denture. Bar-retained implant dentures, in contrast, feature a thin metal bar with anywhere from two to five implants installed in the jaw. The denture is positioned over the bar, which follows the natural curve of the jaw, and is clipped into place making use of attachments. Both options require multiple visits to the dentist, yet provide more stability than conventional dentures. 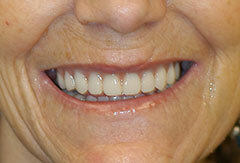 As an alternative to dentures some patients prefer full dental implants. Tooth loss remains a problem for millions of Americans, and dental implants offer a fairly new solution that many are embracing. A dental implant replaces the root of a tooth, providing a stable foundation for a removable or permanent artificial tooth. The implant fuses with the bone, allowing a permanent fix to missing teeth, one that does not require relining or replacement after a period of time. As the teeth appear completely natural, others won't know they aren't the real teeth. A person's smile can be easily restored with this option, and the bone loss often seen with conventional dentures is eliminated. Dental implants function as normal teeth, thus there won't be speech problems frequently observed with conventional dentures. 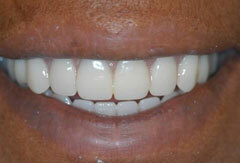 In addition, the implants fuse with the jawbone, making them more comfortable than dentures, as they won't move around. Foods can be eaten with full confidence, and other teeth don't need to be altered as part of the implant process. 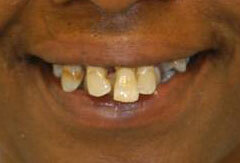 When tooth-supported bridges are selected, adjoining teeth need to be modified to support the bridge. This is not the case with a dental implant. When properly done, dental implants tend to last a lifetime also, making them a cost-efficient option. If you have any questions about which option is best for your unique situation, call the Mazza Center for Implant and Esthetic Dentistry today at (301) 986-0025. 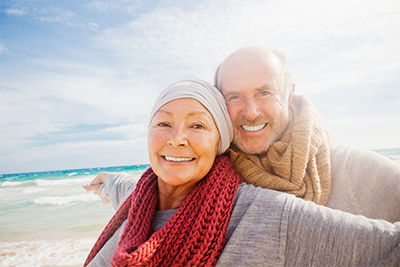 For some, conventional dentures offer the best solution, yet others find they are able to have the smile they dream of with the help of dental implants or an implant supported denture. Fortunately, all allow a person to have a beautiful smile once again, one they cannot wait to show off everywhere they go.